Cube-style. Air-cooled. Self contained. 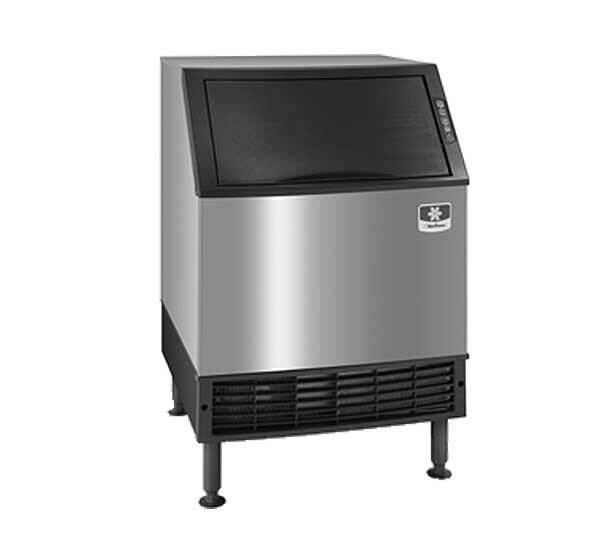 26"W x 28"D x 38-1/2"H. Production capacity up to 193 lb/24 hours at 70°/50° (140 lb AHRI certified at 90°70°). 90 lb ice storage capacity. Electronic controls. Half dice size cubes. 6" adjustable legs with flanged feet (painted gray). 0.42 HP. NSF. CULus. CE (Replaces UY-0190A; CONTACT DISTRIBUTOR FOR AVAILABILITY).